Noela Rukundo is a ghost. 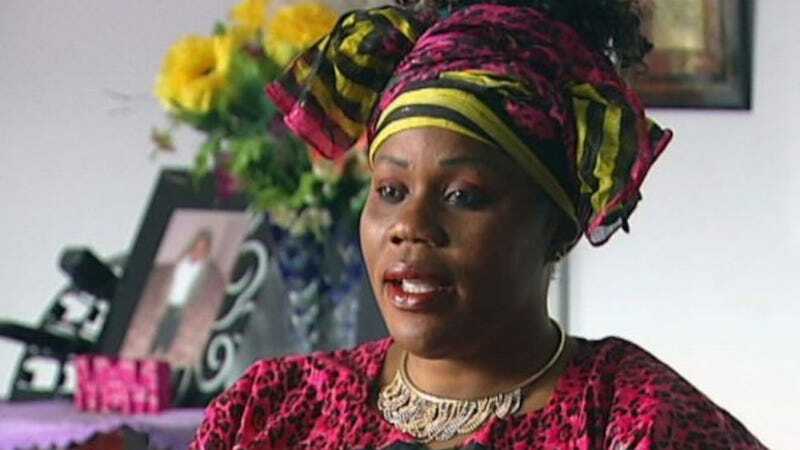 Or at least that’s what her husband Balenga Kalala thought when she arrived at her own funeral after he’d been told that she was murdered by the Burundian hit men he had hired to kill her last February. Five days earlier, Rukundo, a Burundi-born Australian woman, was kidnapped from her Bujumbura hotel (she’d returned to her native country for a funeral) by a group of gunmen and taken to a building where she was tied in a chair, yelled at, and slapped. “They ask me, ‘What did you do to this man? Why has this man asked us to kill you?’ And then I tell them, ‘Which man? Because I don’t have any problem with anybody.’ They say, ‘Your husband!’ I say, ‘My husband can’t kill me, you are lying!’ And then they slap me. Rukundo contacted her pastor in Melbourne—where she lived with Kalala and her eight children—and begged him to help her return home without alerting her husband. He agreed and paid for her plane ticket so that Rukundo could wait outside her home on the day of her own memorial service, watch mourners arrive and leave, and ambush Kalala on their front lawn. “Surprise! I’m still alive” is a phrase that few of us will get to use in a lifetime and Rukundo—shero that she is—has set a pretty high bar for the best time to roll it out. “I was stood just looking at him. He was scared, he didn’t believe it. Then he starts walking towards me, slowly, like he was walking on broken glass. “He kept talking to himself and when he reached me, he touched me on the shoulder. He jumped. Police were contacted and Kalala was ordered to stay away from their house while law enforcement obtained a court order against him. In a recorded phone call a couple days later, Rukundo got her husband to confess to everything and Kalala pled guilty to one count of incitement to murder in September 2015. Later that year, he was sentenced to nine years in prison. Rukundo, who’s BBC interview was published today, says things have not been easy since the dramatic ordeal. Not only has she been left with eight children to raise on her own, but she’s also received threats from and been ostracized by some members of her community for reporting Kalala to the police. The silver lining, however, is that Rukundo is determined to persevere. Once you come back from the dead, you can get through anything. Image via the Australian Broadcasting Corp .